My favorite part of the morning (during the work week) is the 15 minutes that David and I walk over to Starbucks to get our coffee. If we are really lucky, the sample trays are out. 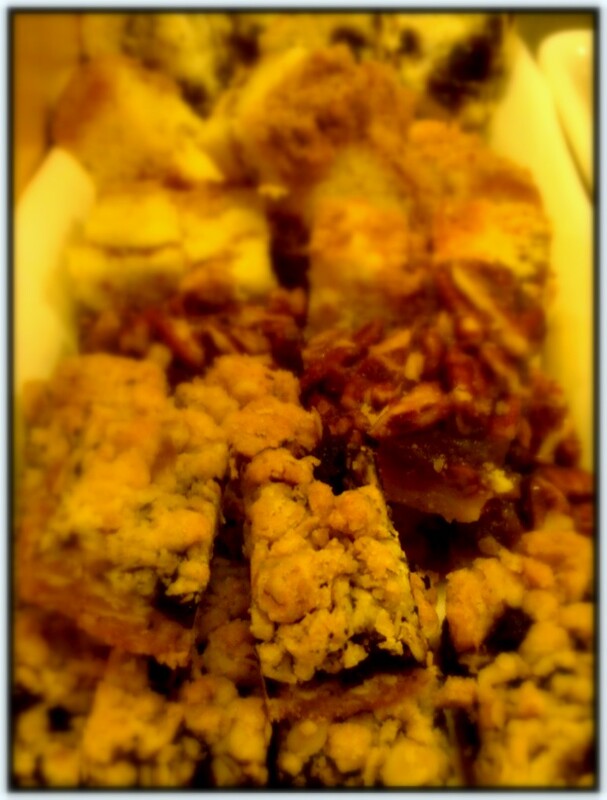 Thursday, we both got our favorites – David his pecan bar and I got my blueberry one. I almost forgot about the fact we had to walk back against the wind to return to work.